Your task is to protect your computer from some annoying hacker who is trying to break into it. Protect your data and CPU from attacking viruses. There'll be a lot of PC stuff, like memory leaks, stack overflows and many more. Use your mouse to place defence towers and control the game. Your goal is to battle against other hackers, destroy their PC defences and protect your computer. Create dozens of malicious programs to destroy your enemies. Use Mouse to control this game. Place your turrets, upgrade them and research new software. A small group of stick mens are literally leaping out of their computer prison with freedom in their minds. It’s up to you to stop them from escaping. All you have is what is available on your desktop. Place your defences carefully and maybe you can stop the stickmen from having their revenge on humanity. You’re trapped in a Microsoft Excel spreadsheet and you need to escape the 30 levels using the cursor keys without sliding of the screen. Use the arrow keys to move your cursor to the exit. The cursor stops at each wall. Don't leave the screen. The creation of Mr. Bill Gates has so closely entered our lives that sometimes it seems completely impossible to imagine our existence without Windows OS. This operation system remains the most popular among the users of all countries. Over the years it is increasingly successful. Naturally, we haven't missed the opportunity and incorporated some flash games related to Windows theme into our game catalogue. For the sake of a bigger convenience a seperate category is created so there is no problem to find Windows games on our website. Feel yourself a real hacker? 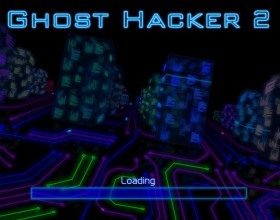 Test your skills in a game "Ghost Hacker 2". Your task is to protect your computer from some annoying hacker who is constantly trying to break into it. Protect your data and CPU from attacking viruses. There will be a lot of PC stuff, like memory leaks, stack overflows and many more. 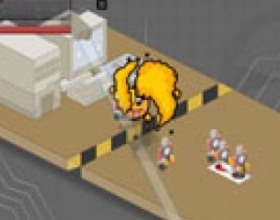 Use your mouse to place defence towers and control the game. 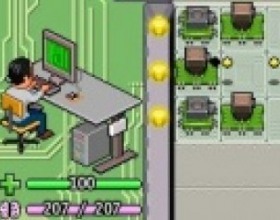 If you want to compete with other hackers a game "Hacker vs Hacker" provides you with this opportunity. Your goal is to battle against other hackers, destroy their PC defences and protect your own computer. Create dozens of malicious programs to destroy your enemies. Use mouse to control this game. Place your turrets, upgrade them and research new software. A fine game about stickmen is "Revenge of the stick". A small group of stickmen are literally leaping out of their computer prison with freedom in their minds. It is up to you to stop them from escaping. All you have is what is available on your desktop. 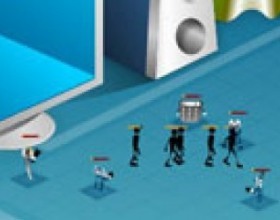 Place your defences carefully and maybe you can stop the stickmen from having their revenge on humanity. If you want to play something approved by the other users we offer "Excit". This is a game from recommended list. 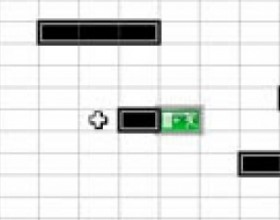 You’re trapped in a Microsoft Excel spreadsheet and you need to escape the thirty levels using the cursor keys without sliding of the screen. Use the arrow keys to move your cursor to the exit. The cursor stops at each wall. Don't leave the screen. You can find more games about Windows on our website. Visit us and have a lot of fun!! !